LOS ANGELES, May 29, (AFP): Catalan filmmaker Carla Simon remembers little of the day that, aged six, she joined the ranks of countless orphans left behind by Spain’s “lost generation” of AIDS victims. Her parents were among 50,000 Spaniards who contracted HIV from 1981, when the virus first appeared, until its peak around 1997, with needle-sharing by drug addicts the largest cause of transmission. 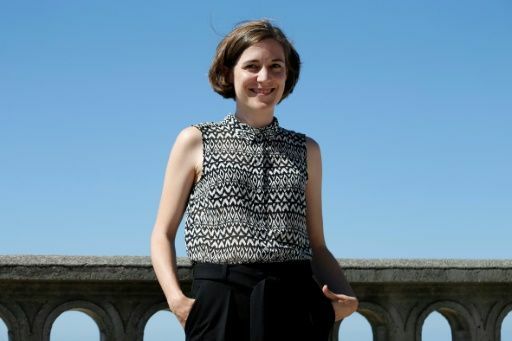 “As a kid, when something like that happens to you it’s like the memory erases or blocks and I don’t remember specific things,” the Catalan director told AFP. “I remember emotions, like I remember that I didn’t cry the day that my mom died and this made me feel very bad.” Simon went back to that traumatic period for her feature directorial debut “Summer 1993,” looking through old photographs and piecing together half-remembered images and snatches of conversation. Premiering at Berlin’s annual festival and winning best debut feature, the Catalan-language movie made a respectable $1.2 million in Spanish box offices. It has been gaining momentum in recent months, picking up prizes for best feature, director and writing as well as awards for its cast at festivals around the world ahead of its US release on Friday. The movie follows a six-year-old Simon reimagined as the fictional Frida, who looks on in silence as the last objects from her recently deceased mother’s apartment in Barcelona are placed in boxes. Her aunt, uncle, and three-year-old cousin, Anna, welcome her with open arms — but it is only very slowly that Frida begins to get used to her new home in the countryside. Critics have raved about the performances of Laia Artigas as Frida and Paula Robles as her surrogate sister Anna, who make for the film’s emotional heart despite being too young to learn their lines. “I talked a lot during the takes. I would tell them what to do or what they had to say and they would repeat,” Simon told AFP. “They got used to just hearing my voice, not looking at me and following instructions. And then in post-production we took my voice out.” By 1997, Spain had 120,000 HIV/AIDS cases in an adult population of around 21 million — the highest rate in the European Union and triple the average. The virus spread rapidly during years of heavy heroin use, a manifestation of the new liberties enjoyed by Spaniards after the downfall of the Franco dictatorship in 1975. “Democracy started and everyone was very happy to get their freedom finally. Some of the young people brought this freedom to the extreme,” says Simon. “They needed to feel free and try and experiment with everything that had been forbidden for many years. Drugs came in and I don’t think the government did much to stop that.” Simon’s father — who was separated from her mother — came from Vigo in northwestern Spain, which she says is conspicuous for the “lost generation” of young adults who died in the AIDS crisis. The filmmaker was just three when he died and remembers nothing about him. “Lots of these people had kids. So my story is not a particular case — there are many orphans of AIDS in Spain — and I didn’t know that it was such a big thing,” she says. “After releasing the film, when it got released in Spain last June, I got so many messages from people telling me that they had exactly the same story.” Born in a small Catalan village in 1986, Simon graduated in audiovisual communication from the Universitat Autonoma of Barcelona after spending a year at the University of California.